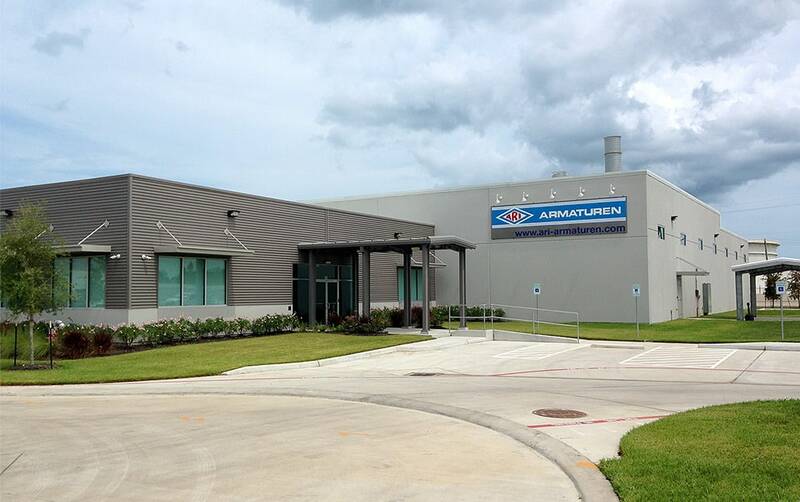 The North American branch, which is now known as ARI-Armaturen USA LP, was opened in Texas in 2004 to supply customers in the US , Canada and Mexico. 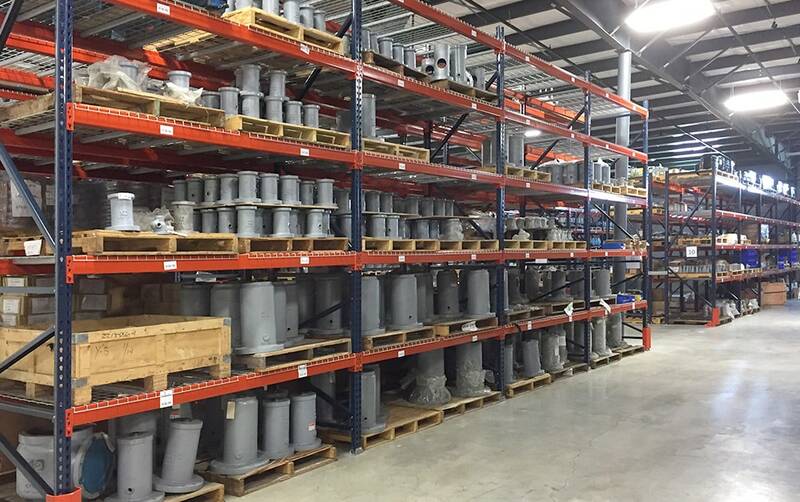 As an efficient partner offering a wide range of products with custom product solutions, a production facility fitted with the most up to date technology and a local comprehensive customer service, success came quickly. 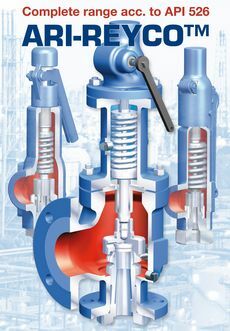 In 2013 ARI- Armaturen enlarged its portfolio, which already included the safety valve range SAFE (with TRD and ASME licenses), with the REYCO-product line which was established in the USA in the 1960s. A full nozzle safety valve per API 526- certified by ASME-Code sec. VIII Div.1 with UV stamp. REYCO valves (R-Series/RL-Series) give confidence through their precise function; a disc which can be turned upside down once one side has been worn out, thereby increasing its longevity. Additionally an optimal disc centering (up to 6000psi/414bar) and are certified through EC-Type Examination (Module B), Quality assurance (Module D) as well as a declaration of conformity as per PED 2014/68/EU (97/23/EC). ARI-REYCO® safety relief valves and/or valve parts are fully interchangeable with, and replaceable for, Lonergan* valves and/or valve parts. *Lonergan is a trademark of Emerson. ARI-Armaturen is not licensed to use the Lonergan trademark. In June 2016 ARI-USA moved into its newly built, modern building to be close to the NASA Space Center in the technology center of Webster, Texas. Here ARI customers benefit from a significantly larger storage facility, comprehensive schooling/service area. 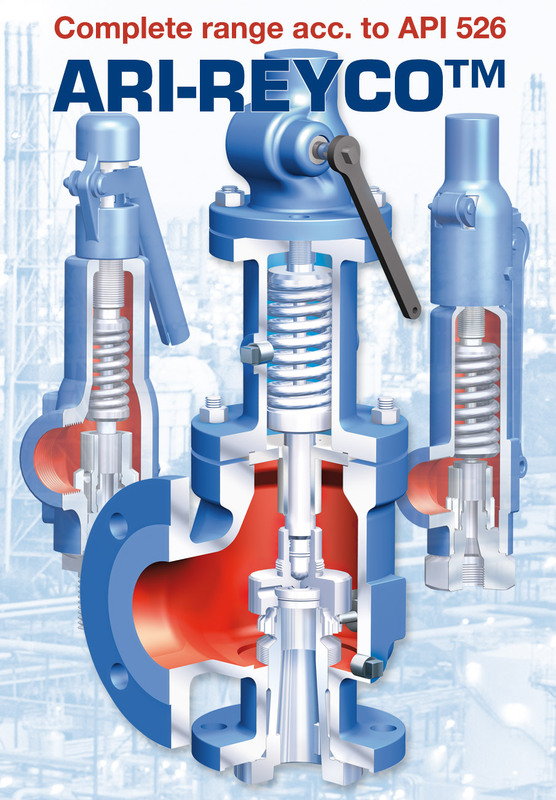 Besides valves, systems for steam and condensate management are now being offered.